Katakolon is a seaside town in the municipality of Pyrgos in Western Elis (Ilia), Greece. It is situated on a hill, overlooking the Ionian Sea and separating the Gulf of Kyparissia from the rest of the Ionian. With its close proximity to Ancient Olympia, the birthplace of the Olympic Games in classical time, Katakolon is considered as one of the most touristic places in the region. The port of Katakolon is a popular stop for cruise ships, offering passengers an opportunity to visit the site of Olympia. Visitors here usually seize the opportunity to visit the ancient stadium of Olympia. Katakolon is a small town full of jewelry and souvenir shops. Besides that, there are lots of restaurants- particularly fish restaurants due to the fact that it’s a coastal town. The port has a history that dates many decades back. It began its operation as a touristic center since the early 20th century, while European travelers arrived at it since the 19th century. The main reason why European travelers visited Katakolon and Elis at that time was their interest in antiquities and the beauty of the area. Katakolon functioned as a commercial port even since the Ottoman period. This was intensified since the 1870s, when it became one of the main ports for the export of currants. The role of this product was of such importance that allows us to talk of a culture based on currants. Furthermore, Katakolon had very close cultural, economic and social ties, primarily with the island of Zakynthos and secondarily with the island of Cephalonia. We truly believe that the restoration of the transport to the southern Ionian Islands will have very positive impact for both Katakolon and these islands. In those early years of tourism, Katakolon was “faithful” to the idea of cruising which initially seemed to take the wrong orientation since the commercial part was smaller than expected. Furthermore touristic activities had just started with undefined results at the time and so suspiciously missing the dream of tourism. Professional fishermen in the region experienced the inhuman conditions of occupation during the civil war and managed tooth and nail to feed themselves and their families through the sea by selling fish to the aristocracy. Today, the port is one of the major entry ports for tourists who are coming to Greece to spend their holidays. Katakolon port starts to have cruise ships usually during the beginning of April till the end of October. In summer time (June-July-August) there might be even 3 or 4 cruise ships in a day. Based on this figure, it can be estimated that more than 500 tourists come through the port of Katakolon on a daily basis. According to the Tourism Minister of Greece, the port of Katakolon nowadays has the second busiest cruise traffic in Greece after Piraeus. Today's goal of the port is in principle to develop the ability of mooring for the third generation ships – above 350 meters of displacement which will be achieved by the gradual expansion of the port and also the home port option of disembarkation for tourists in cruise ships approaching the Katakolon port. Along with exports of goods, tourism is expected to constitute one of the main sectors that will contribute towards the recovery and growth of the Greek economy in the coming years by assisting in attracting investments, supporting other economic sectors and boosting employment. Tourism has already contributed decisively in this direction since it recorded an impressive recovery in 2013, and it assisted significantly in intercepting the downward spiraling course of the Greek economy in the period 2008 - 2013. It then went on to post impressive results in 2014 and 2015. Also worth noting is the fact that there are many young people who work in Katakolon, which is something positive given the high unemployment rate among youth in the country. Most business owners are aged people but their employees are usually young ones around 20-30 years old. Many of them are students coming from various cities scattered around Greece but come to Katakolon and Pyrgos during summer to seek employment. Despite the fact that around two to three ships are coming in at the port daily, local business owners are still not satisfied with the number of tourists. 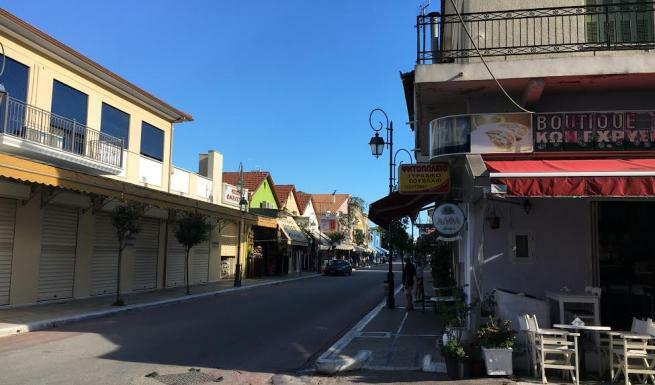 They are complaining about this year’s figure, saying that the number of tourists this year is relatively low in comparison to last year’s figure. 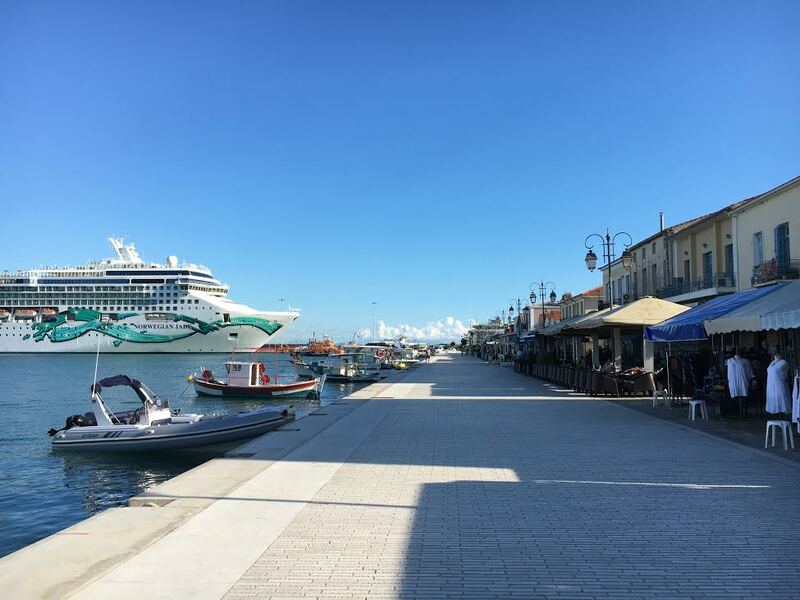 Additionally, there have been only a few festivals, exhibitions and events organized in the seaport town and Pyrgos this year, which can, to a larger extend, be considered as a disincentive to tourists coming to Greece through the port. Regarding the independent travelers who come here and stay for 2-3 days, they always complain about the expensive means of transportation. They also find that there should be more public transport... The truth is that it wasn't like this before the crisis. They are aware that economic crisis affects them in every way but they still believe that the tourism industry will go better in the not too distant future. Both businessmen and workers share a common vision; they want a better and well-known Katakolon. Besides, Elis, and the whole area is full of archaeological sites, monuments of nature and monuments of modern era and Katakolon is the main gateway to this mythical world. Αναρτήθηκε από Dioni LDC στις 10/17/2016 11:07:00 π.μ.